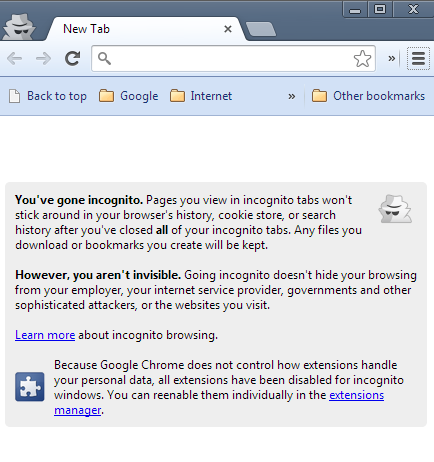 Chrome 36 brings a redesigned incognito page with a bigger icon, a heading, shorter text and card interface. 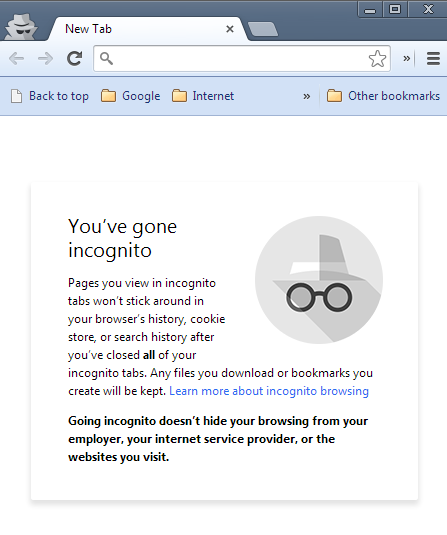 There are some changes to the text: Google removed "however, you aren't invisible" and "[going incognito doesn't hide your browsing from your] governments and other sophisticated attackers", but kept "your employer, your internet service provider, or the websites you visit". Google also removed the text which informed users that extensions are disabled by default in the incognito mode.